Waste Services of the Bluegrass is proud to announce its partnership with Toyota Motor Manufacturing in the region’s first business to business landfill gas to energy initiative. 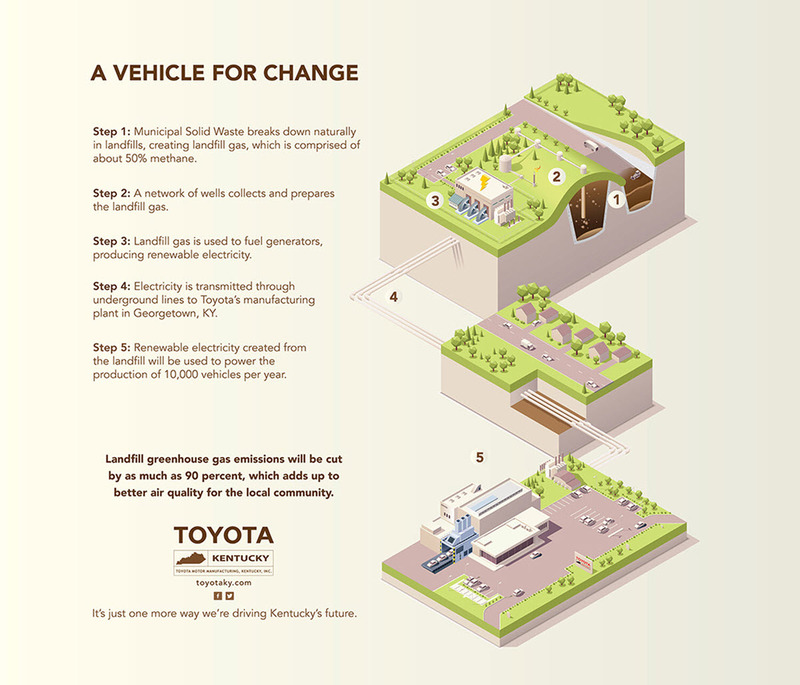 Up to 100% of the methane gas captured at Central Kentucky Landfill in Georgetown, Kentucky will be purchased by Toyota, which estimates the locally generated gas will supply enough power each year for the production of 10,000 vehicles. WSB is committed to smarter and better ways of doing business to enhance our community and environment.